We would love to host your corporate/private golf outing. Our perfectly groomed golf course is just the right length so all levels of players can enjoy the day, while being challenged by the fast, rolling greens. We offer a pleasant, relaxed atmosphere which makes Fountains a perfect place for your outing. Our professional staff will meet you at the bag drop so all you have to do is get on your cart and swing the club. 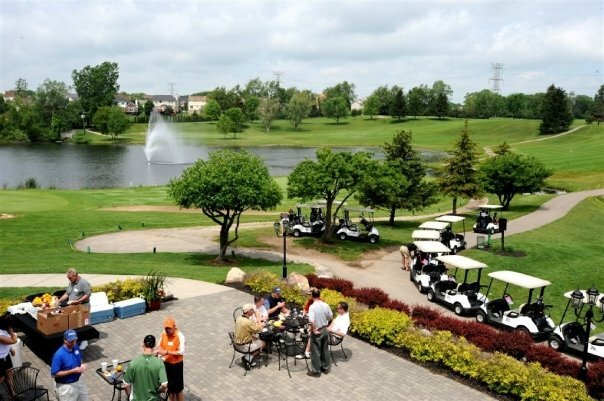 Food at the turn is served on our beautiful brick paver-patio overlooking Spring Lake and our picturesque 9th hole. We can tailor outing packages to meet your needs, with prices ranging from $49 to $99 per player. make and keep our customers happy.